For the first time in nearly 30 years, two of the biggest outdoor industry trade shows, Outdoor Retailer and SnowSports Industries America Snow Show, will combine in Denver this week — drawing roughly 20,000 outdoor industry employees, retailers, buyers and members of the media to the city for a full week of gear demos, launches, educational seminars and community events. While the massive trade show is mostly geared towards industry members, one Colorado company is opening up the juicy educational opportunities from the show to the public. 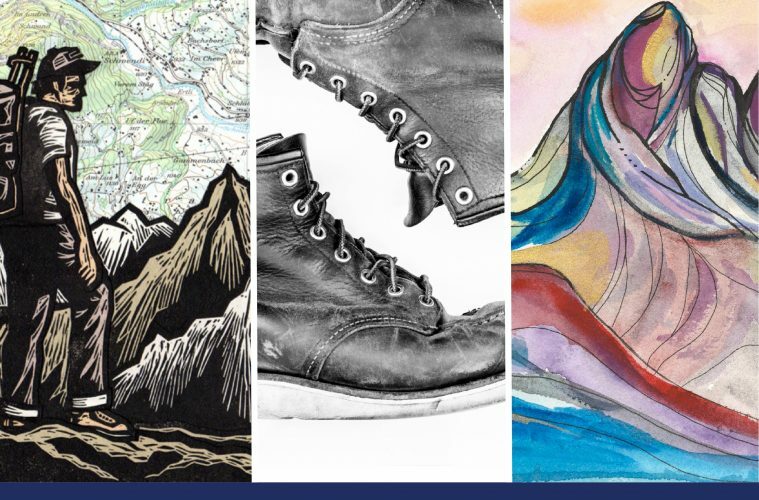 Starting on January 24, Denver-based Something Independent — a local company whose focus is to celebrate the industry and the culture of the outdoors — will kick off a free five day-long event featuring art exhibitions, inspirational talks by industry leaders and discussions at the Denver Theater District Gallery. In partnership with the Colorado Outdoor Recreation Industry Office and the Denver Theater District, Something Independent’s Trade School will officially open its doors at 2 p.m. on January 24 with a session called “Maintaining Soul Through Growth” featuring Topo Designs, Burton and Oskar Blues Brewery. “Real work, the kind that keeps one up at night and gets one out of bed before first light, is inherently personal and often collaborative,” says Chuck Sullivan, co-founder of Something Independent. “It’s fueled by passion and purpose. You see it reflected in those melding their work and their love for the outdoors. There’s a grit and resilience in their mindset. Their approach to work looks bold, principled and committed. And, there’s a trickle-down effect to this.” Sullivan hopes that Trade School will serve as a valuable learning tool and inspiration for the outdoor community and beyond. Other Trade School highlights on the docket for the week include a panel discussion on inclusion in the outdoors, a talk on “prescribing nature” and a session highlighting the work of the ski patrol. For a full schedule of free Trade School events taking place throughout the week, visit: trade-school.co.